residing in N.Y. 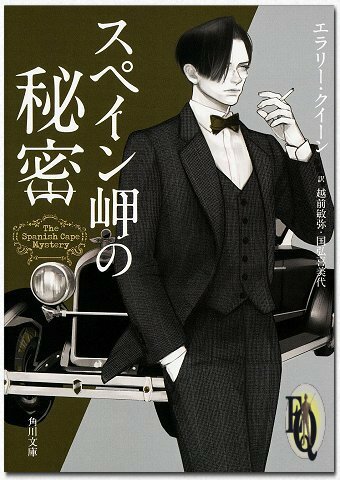 It's an 1924 open two seater with a "Dickey seat" in the back and a counter which shows 215000 km (Finishing Stroke).The Duesenberg was a symbol of wealth and the luxury dream car of Americans. It is only as second hand car Ellery could afford this vehicle. Above: Detail from a cover illustration by Macaya for the Argentinian, Leoplan magazine N°84, March 1938. The magazine featured The Egyptian Cross Mystery. It's a second-hand sport scar (Egyptian Cross) bought by a sentimental Ellery who had it accustomed for personal use (Siamese Twin). It uses Goodyear tires and has a side lamp, it's horn gave a loud uncomfortable sound which could easily have woken the death (Siamese Twin). When investigating the Siamese twin mystery the Queens reside in an country house where their car is put in the garage. At the end of the story the mansion is struck once again by fire. ...a booming explosion. "The gasoline in the garage," muttered the Inspector. "There go the cars"
But neither father nor son seem to panic and in the next story (Spanish Cape) it reappears undamaged. It is but years later we see a changed Ellery drive a fast Cadillac (Vanishing Corpse). 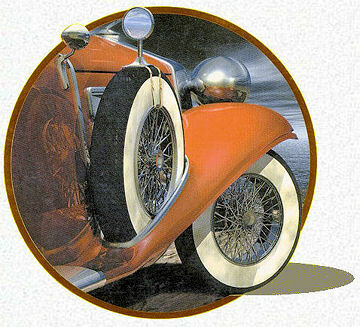 Above: Detail from the cover of an Italian edition for The Spanish Cape Mystery (Oscar Mondadori, 1997), merged into websites background. In The Finishing Stroke the Duesenberg reappears. Ellery's car was serviced in a garage situated in West 87th street. He had American snow chains installed. in competition, Fred Duesenberg cars were made for success. During the decade of the twenties, his automobiles won the Indianapolis 500 in 1924, 1925, and 1927, while finishing second or third in four of the other seven Indianapolis events. A Duesenberg was the first 500 mile race winning car to average better than 100 miles per hour, in the hands of Peter DePaolo in 1925. 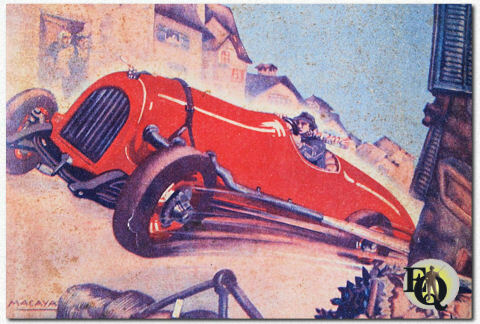 Tommy Milton drove a Duesenberg to a land speed record of 156.046 miles per hour for the measured-mile at Daytona Beach in 1920, and Jimmy Murphy drove a Duesenberg to victory in the 1921 French Grand Prix. During World War I, Fred Duesenberg and his brother Auggie produced a variety of aircraft engines for military use including manufacture of the famous U-16 Bugatti. Established in 1917 in Indianapolis the Duesenberg Motor Corporation developed a line of high-grade classic American passenger cars, the first to use an eight-cylinder in-line engine. 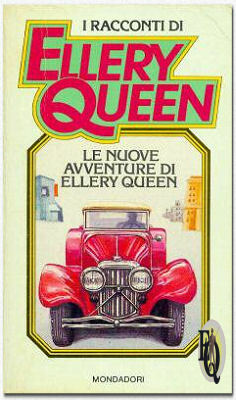 Above right: The Duesenberg on the cover of the Italian edition of The New Adventures of Ellery Queen. 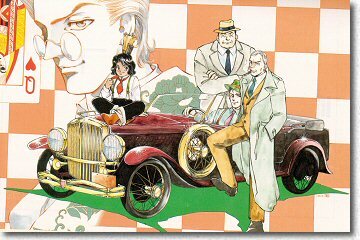 Below: Jet Rendition of the complete family: Ellery with Djuna, Velie, Inspector Queen and the Duesenberg.